The Sandinista revolution was based on three ideals. The first, political democracy, supporting a republican form of government, based on elections with universal suffrage. The second, participatory democracy, meaning active citizen participation in government organizations, task forces, and so on. Finally the third, economic equality, supporting a communistic economy and complete equalization of wealth, incorporating both Marxist and socialist ideas. While democracy was once one of the Nicaraguan Sandinista revolution's ideals and while it even took 11 years to be implemented after the revolution's victory (elections of 1990), it looks like democracy in Nicaragua is rapidly deteriorating. Ortega already said that foreign monitors will not be allowed during the presidential and parliamentary election of 2011 November 6th. 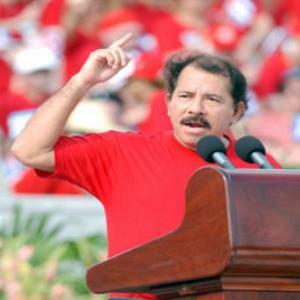 The 2008 election fraud isn't forgotten yet and it is known that Ortega is using Venezuelan election "advisers" again.